The Mt. Bachelor Big Wave Challenge is a one-of-a-kind event inspired by none other than legendary surfer and Mt. Bachelor Ambassador, Gerry Lopez – who is the event host. 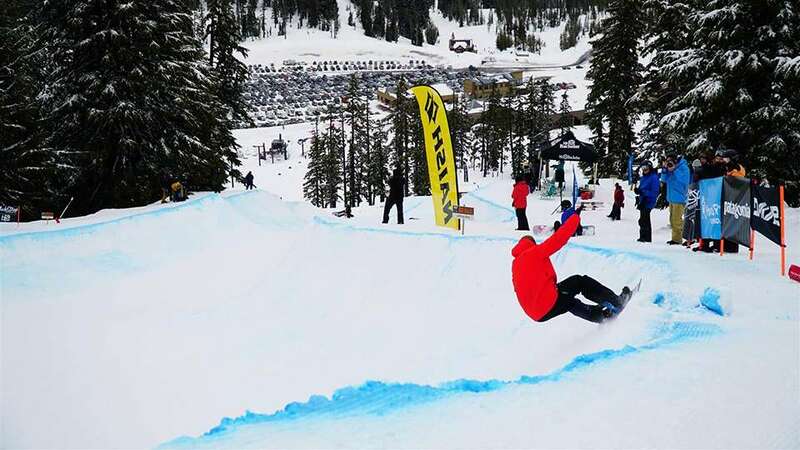 This snowboard only event features a series of huge sweeping banked corners, quarter pipes and spines, incorporating the natural terrain as much as possible, to create wave-like features into a flowing course – this year located off Midway. The idea of the Mt. Bachelor Big Wave Challenge is to bring the surf to the mountain. If you’ve ever ridden Mt. Bachelor you’ll notice that the topography and weather lends itself to give you that feeling of riding a wave instead of the normal terrain you’d see at other mountains. Riders will be judged on the same elements as a Big Wave surf competition; control, speed and power. Each person will get two runs during the initial qualifying round, and the top competitors from each category will advance to the semi-final and final rounds.